« Ireland – A Racist State? “Is racism in the DNA of our institutions?” asks ENAR Ireland Director. Reports to iReport.ie suggest that both racism against Roma and institutional racism are commonplace in Ireland, says anti-racism watchdog. As the Irish public expresses outrage at the seizure of two children from their families by Gardaí and the HSE, ENAR Ireland reveals an increase in incidents of racism against Roma in recent weeks, as well as incidences of institutional racism. 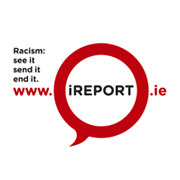 Since its launch in July 2013, independent racist incident reporting mechanism iReport.ie has recorded more than 120 incidents of racism in Ireland. These included 12 reports involving racism against members of the Roma community and 13 against Travellers, 2 incidents logged involved remarks made by judges, 2 involved politicians, 3 involved HSE staff and at least 8 involved Gardaí. “The dogs on the street know that those families were targeted because of their Roma background. These are our neighbours, and these actions have consequences for all of us as they risk causing grave damage to community relations. This week’s events, and the prevalence of complaints to iReport.ie from people from minority backgrounds, gives rise to the strong suspicion of institutional racism. It begs the question: “Is racism in the DNA of our institutions?”, a question which only a fully independent inquiry into the actions of the HSE and Gardaí can fully answer. It’s time the Government took racism seriously” O’Curry continued ”International press coverage of this week’s events shows Ireland in an extremely poor light at a time when we should be living up to our international obligations by outlawing racial profiling and rolling out a comprehensive National Action Plan against Racism”. ENAR Ireland is a networking organisation with over 30 organisations nationally. At a European level, ENAR has over 800 organisations in 30 states.